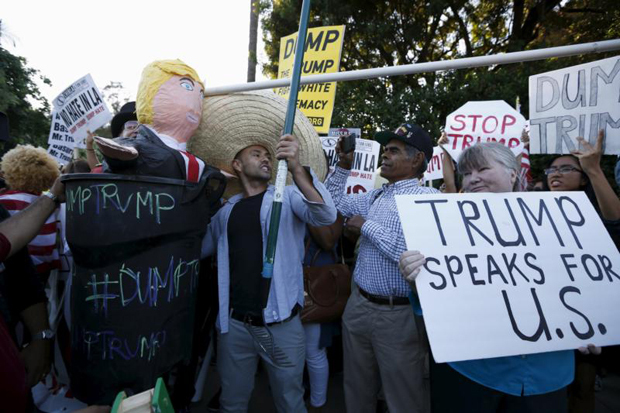 NEW YORK (CNS) — In an op-ed piece published July 29 in the New York Daily News, Cardinal Timothy M. Dolan of New York took issue with the anti-immigrant rhetoric of Republican presidential candidate Donald Trump without explicitly naming him. “I wish I were in the college classroom again, so I could roll out my ‘Trump card’ to show the students that I was right. 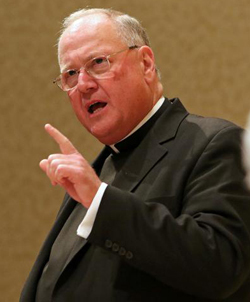 Nativism is alive, well — and apparently popular!” the cardinal wrote. Trump struck a nerve during his presidential campaign announcement when he said “murderers” and “rapists” were among those crossing the U.S.-Mexico border. “I guess, as a Catholic American, I’m a bit biased,” he added. “Thank God Walt Whitman stuck to poetry, and did not run for president,” the cardinal wrote. Shouldn’t we first distinguish between illegal immigrants and normal “legal” immigrants? If we did, Dolan and Trump might actually AGREE with each other. I agree with you completely. Immigrants who come here legally are more than welcome.